As a business owner, one of your top priorities is to market your business at every potential avenue. A great, simple opportunity to market your company and product is to have your logo printed on plastic reusable bags. Whether you’re sending your customers home with your product in your custom plastic bags or if you’re getting customized bags to hand out at shows, it is a great marketing technique that will get your brand noticed. We’re going to highlight for you the benefits of using this easy, affordable advertising method for your company. If you’re looking for a cheap, affordable way to increase your presence on the streets, custom shopping bags with your logo can do the trick. They are a cheap marketing tool that can be ordered in bulk to meet the demands of your product. Normally, plastic bags cost less than five cents per bag, which makes them much cheaper than paper bags and cloth bags. The plastic bags easy to store and can have different dimensions, sizes and a variety of shapes. You can choose the look and colors to match your company’s logo and emulate your brand style. Of the 380 billion plastic bags used in the United States each year, at least 100 billion is from retail business’, who use the products to promote their company. This suggest that these aren’t simply plastic bags that get your product from your store to your customer’s homes. They are your way of ensuring that people aren’t just carrying your bag, but rather your logo. When customers carry these custom plastic bags home, they are marketing your product for you on the streets by simply carrying your brand. This is a simple way of increasing your logo presence in the streets, much like a billboard or ad would do for a fraction of the price. Most people recycle plastic bags and use them more than once. 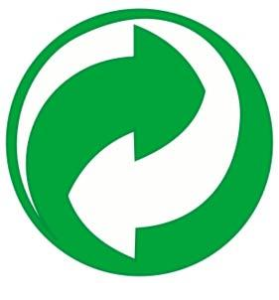 According to a study conducted, nearly 972 million pounds of plastic bags were recycled in 2010. Plastic bags are recyclable and take up less space in landfills compared to cloth bags, which can’t be recycled and are usually tossed. This contradicts most people’s understanding that plastic bags are more harmful to the environment than cloth or paper bags. Although in the past, different materials have meant that plastic bags are not eco-friendly, there are now biodegradable plastic bags that are not bad for the environment, especially since most people reuse these bags. This is what makes it easy for people to remember your logo or tagline. 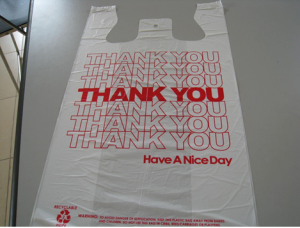 Once you put it on a custom plastic bag, they are sure to be noticed because once they are reused, your logo will be imprinted in the bag-users memory. Even if your company does not sell retail products or goods, custom plastic bags can still be a promotional item for your business. Approximately 92% of tradeshow attendees say they attend trade shows in search of a new product. This makes a great place for you to reach out to a different customer base. At tradeshows and other events, high-quality plastic bags customized for your company can be a great way to hand out promotional freebies. What this will do is increase brand presence at the event and since most people love free things, it’s a great way to show customers that you appreciate them. You can put t-shirts, free pens, mugs, calendars and other goodies in your custom plastic bags to promote your company and give back to your customers. This generous gesture can get you noticed and increase your clientele, simply by handing out goodies in a customized plastic bag. This again, is an easy way to get your logo out there, at an affordable cost. Custom plastic bags are great to use because there is a lot of flexibility in terms of the order. Your business can change the designs and logos on orders seasonally. If your logo or brand changes for any reason, it is easy to order new bags according to your updated branding. This makes them an easy tool to update seasonally or for specific festivities such as Christmas or other holidays. This type of flexibility and ease means you are able to use your colors, logo or whatever aspect of your custom plastic bag you would like to change to suit your business. Investing in an affordable, intelligent way to increase your business presence of customized shopping bags will get your business a long way. On average, a plastic bag is reused 10 times, which means that is 10 opportunites for you to promote your business. ANS Plastic Corp makes customized, biodegradable plastic bags for your business that are sure to attract customers. A simple, thought-out bag can mean you attract people who see others holding your bag on the streets. This interest and inquisition into your brand can be the simple solution you need to get people to notice your business. The plastic will do the branding for you, as long as you make it noticeable.